Hacked the GoToStar system tonight. Replaced the old Ni-MH battery in the hand controller for a new. The hand paddle does not appear to keep time; while the location seems to be stored. Removed the original 2.4 volts 40 mAh dual coin battery. It was hard soldered to the main board. The replacement unit (round 2) from Battery Canada was bigger. Still 2.4 volts. 80 milliamps, this one. Much bigger diameter but almost exactly the same length. It fit into the alcove like the original. I didn't feel like trying to force the new battery pack onto the same pads on the opposite side of the PCB; I made little jumper leads to ease the installation. Non-invasive. Decided not to change out the white LED inside; the red film outside will be fine. More flexible. I buttoned up the hand controller. Fitment OK! 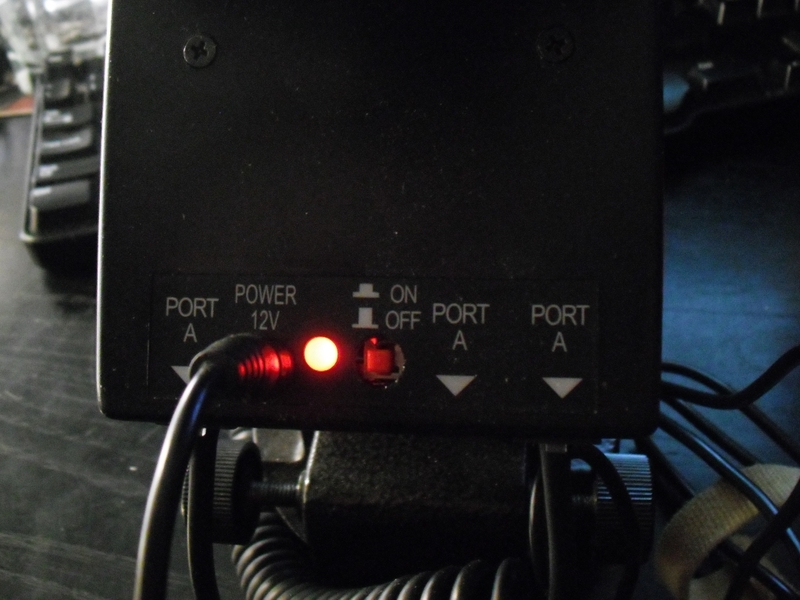 Then I swapped the status indicator bi-colour LED on the RA drive motor. From day 1, I thought it unfriendly to astronomers. 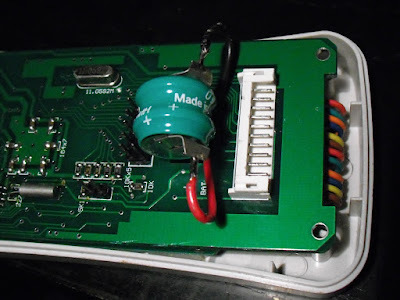 As I pried on the old assembly while desoldering, it went flying—I didn't find it until the end of the job. Verified the polarity on the main circuit board from the power inlet. Looked up dual-colour LEDs on the interwebs. As I suspected, the centre (long) leg was the negative. This matched the PCB. Pumped out the solder then fit the new yellow-red LED from digi-key into the board. Moment of truth. Would I blow anything up? Interconnected the paddle to the RA motor. Interconnected the motors. Plugged into the AC power supply. LED (inside the supply) lit. Connected the power cord to the RA motor. The new bi-colour LED lit. w00t! In red, mind you. Depressed the switch to go from standby to on: the mount powered up, the hand controller activated, and the bi-colour LED turned to yellow. All right. No explosions. Ran through the menu and did some short slews. All good. Powered down, disconnected the AC supply, flipped the 5mm, diffuse, three-legged LED, and tried everything again. This time: yellow on standby; red while running. Perfect. Checked the alignment of the indicator window, bent the legs, and soldered the new LED in place. Done. One more test. Slewing went bananas and I was worried about a short until I remembered that the Tizio was flooding the encoder. Very happy. Hopefully the new battery will improve the date/time management in the hand controller. 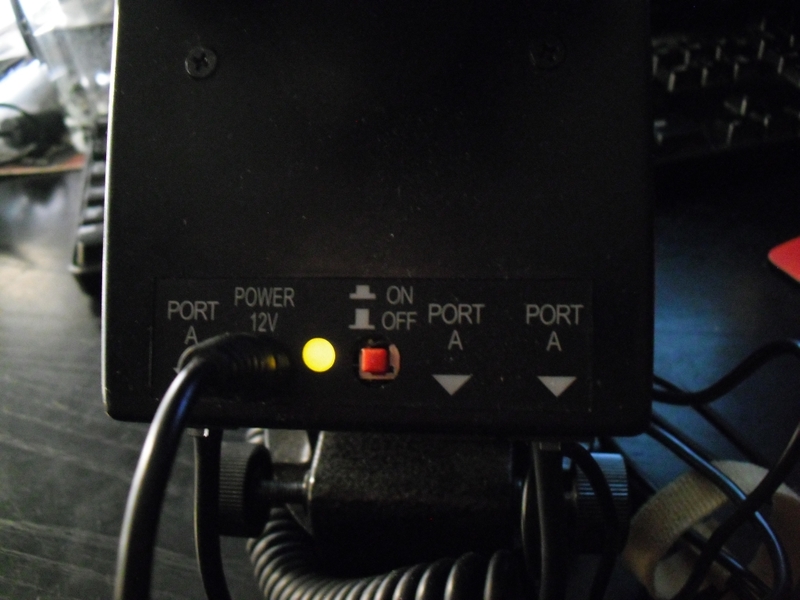 And no more silly green LED on the mount motor under normal power-up situations. Time was OK on 20 July!